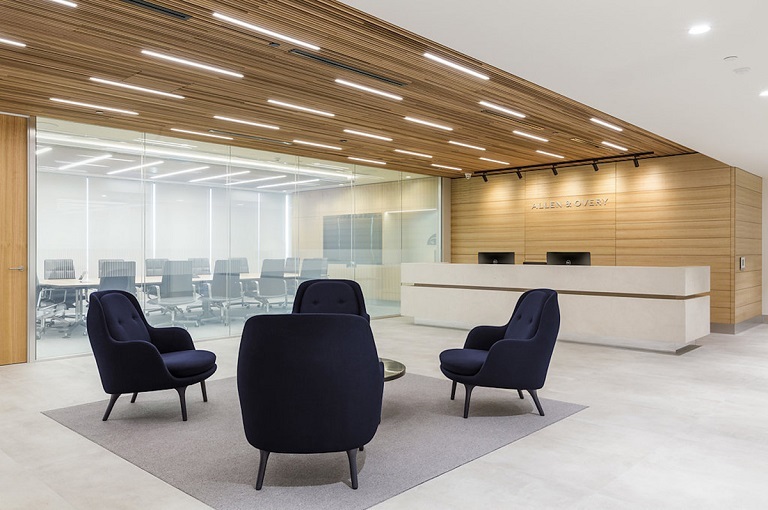 Allen & Overy’s new premises offers flexible and dynamic workspaces in quality surrounds. As an elite international law practise, the offices reflect its branding image of expertise in all matters legal. As part of a major high-end fitout for the company, our acoustic switchable glass was installed in a meeting room to provide privacy or transparency when required by glass specialist, Walshs Glass.